We'll admit that having a hand is practical, you can pick things up and press buttons, but wouldn't you rather have a centaur on the end of your arm? 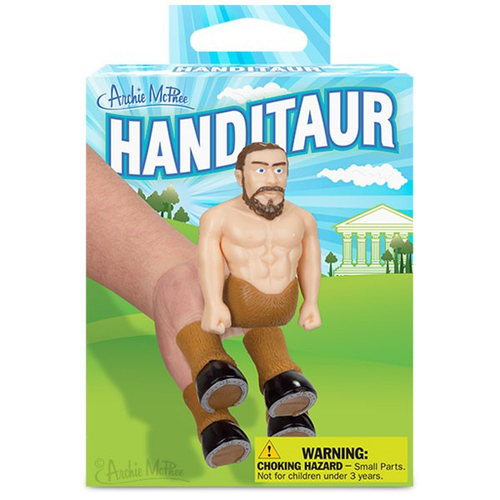 Here comes Handitaur! It's a set of five soft vinyl finger puppets, four 2" hooves and one 3-1/2" torso, that takes your hand from humdrum reality into the realm of fantasy. This product will change the world. Instead of shaking hands, people of the future will bump centaurs.